Before you get henna, know the facts…. Because the art of henna is a cultural tradition dating back thousands of years, many ethnic grocery stores carry henna (tubes) or cones as we call them. 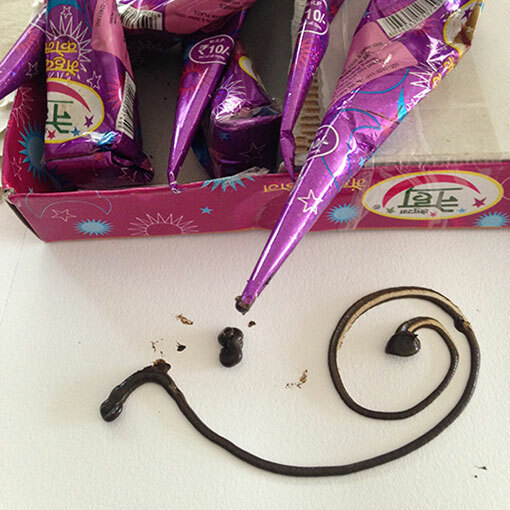 These henna cones are made with the intent to be placed on shelves, sometimes YEARS before they sell. 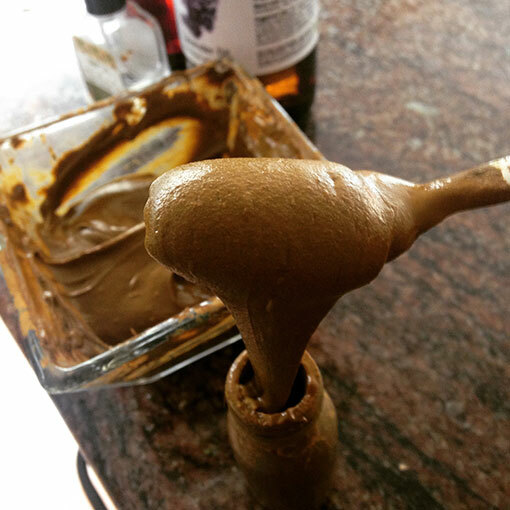 Henna paste is perishable, the only way to achieve this is to add chemicals and preservatives to them. These henna cones are very inexpensive to purchase. Once expired, they DO NOT leave a stain, there is no “tattoo effect”. Fresh and natural is best. I take pride in preparing my henna just as a baker takes pride in baking his famous cake. My henna is homemade fresh to order and hand mixed for each batch. I use only the finest pure essential oils; lavender from France and eucalyptus from India. 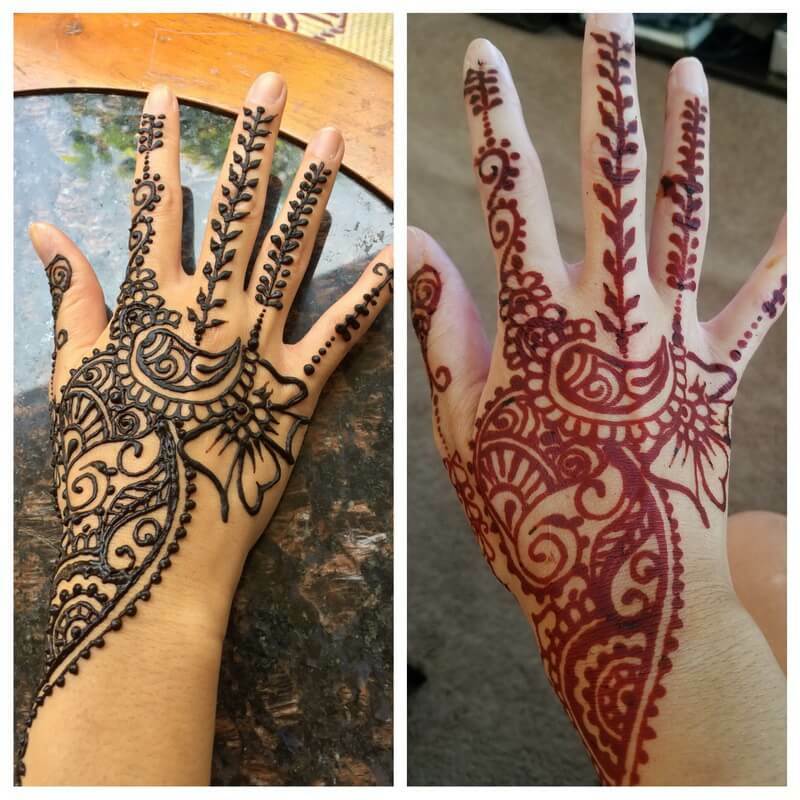 Each henna batch consists of a 24-48 hour preparation. 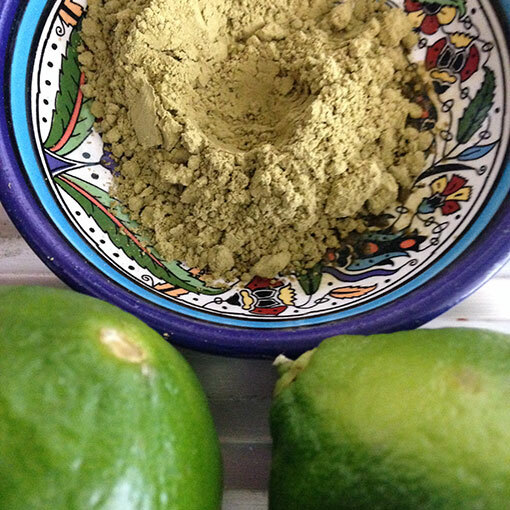 The henna powder is imported from an organic local farmer in Rahgisthan, India. I use real lemons from my own tree to activate the henna powder and nothing but pure tap water to liquify the paste. The result is an all natural delicious rich burgundy color that lasts about a week on the skin. (It can last longer with proper caring and it may last longer on certain areas of the skin.) It can sometimes be taken off sooner than a week.